Friday morning saw He Xiong, the Director of the Henan Provincial Development and Reform Commission visit Southern University of Science and Technology (SUSTech). President Chen Shiyi accompanied the delegation. He Xiong and his entourage first visited the 3D campus construction planning sand table. They then went to the Shenzhen Automotive Fuel Cell Stack Engineering Laboratory, and saw the new “Peter Pan" UAV (unmanned aerial vehicle) in operation. Chen Shiyi spoke about the development of SUSTech. 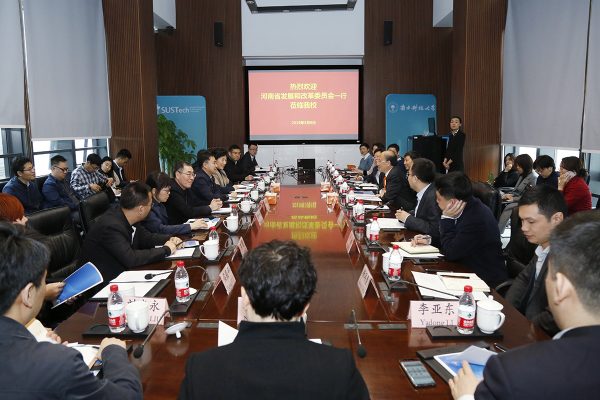 He hoped that SUSTech would have more technical cooperation with Henan Province in order to promote Henan’s industrial transformation through scientific and technological achievements. 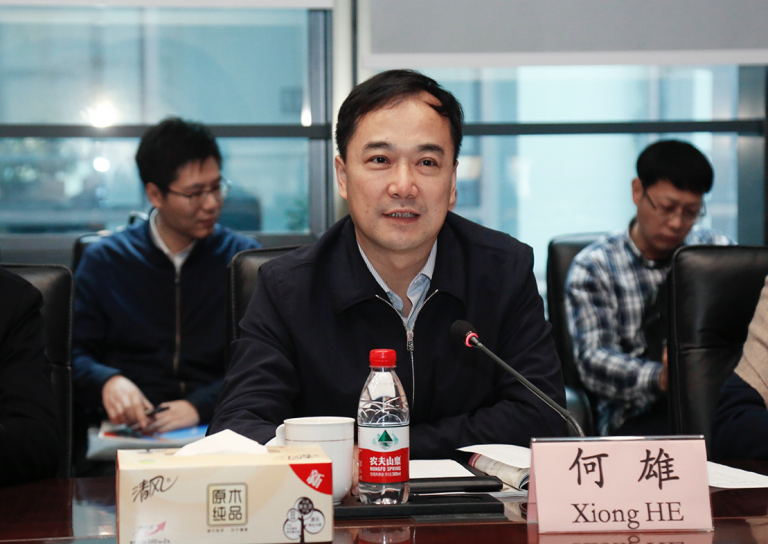 He Xiong acknowledged SUSTech’s spirit of innovation and reform. Director He also praised SUSTech’s achievements in the development of its academic disciplines, among other areas. He trusted that SUSTech would cooperate more with Henan by continuing to promote reform and innovation. Such an approach would better support the development of the local Henan economy and society. 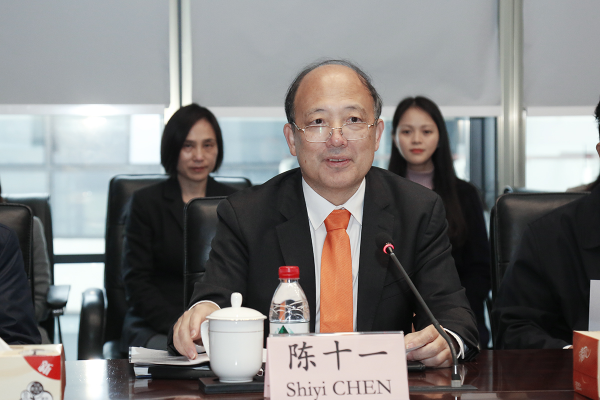 Xia Peichen, Deputy Director of the Henan Provincial Science and Technology Department, added that he wanted to introduce SUSTech‘s high-quality resources and outstanding scientific research results to Henan in the future.